After Rikuo discovers a strange phrase in Sammy's activity log, "Are you enjoying the Time of Eve?" 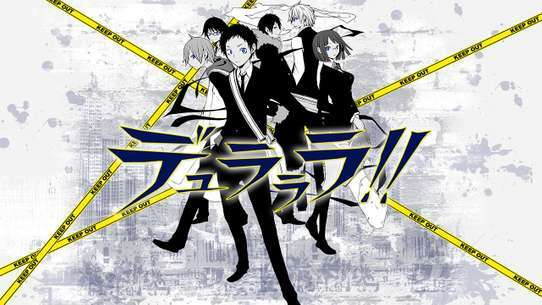 he goes investigates with his friend, Masaki. 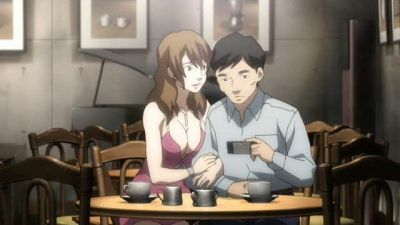 They arrive at a café and learn that the café's main rule is to not discriminate between humans and androids. They ponder whether they should stay when Akiko, a customer of the Time of Eve, introduces herself and the rest of the regular patrons. Masaki asks Akiko if she has any androids. She replies yes and that she is here to socialize and understand a lot more about people's feelings even if they are androids. 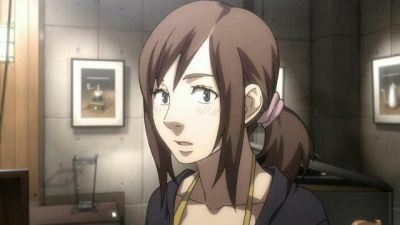 They both later discover at school that Akiko is actually one of the students' personal android. Rikuo returns home and notices the coffee made by Sammy tastes exactly like the same blend as the Time of Eve, and questions her about acting independently. Revolving around Android-Human relationships Nagi sets Rikuo and Misaki up with the couple Koji and Rina who are regulars in the cafe. 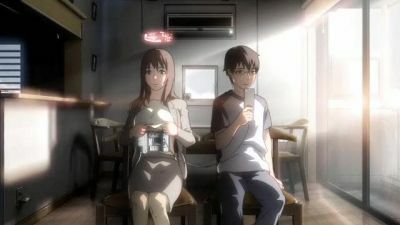 They assume one is human and treat it as an Android-Human relationship, however as the conversation progresses a bust up between Koji and Rina occurs, Rikuo and Misaki split to console each one of them, discovering them to each be Androids engaged in a relationship, of which both Koji and Rina are unaware and assume the other to be Human. Masaki tells Rikuo of an experimental android designed to take care of human children, which he suspects Shinmei of being. Rikuo visits the cafe alone to find that Shimei has left Chie by herself as part of a monthly obligation. 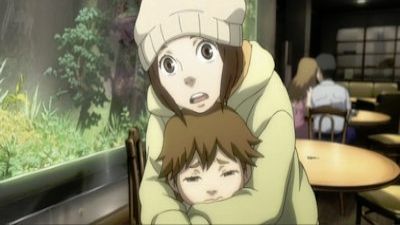 Rikuo tries to press Chie to find out what it is, but Akiko stops him, and Setoro tells him that it can't be helped because humans hurt those around them. Rikuo falls asleep and wakes up to find Sammy playing a song on the cafe piano. Rikuo tells her that he stopped playing because he would've hated it if she mastered the piano. He goes on to say that he doesn't care anymore and plays. Shinmei returns and thanks Rikuo for the performance. Rikuo tells Nagi that he doesn't dislike the cafe. In a flashback, Masaki's father overhears their android, THX, console Masaki about his parent's marital problems. In response, Masaki's father silences THX and lies to Masaki that he is broken. 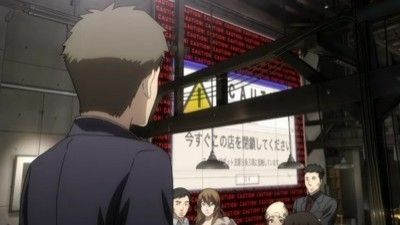 In the present, the Ethics Committee plans to crackdown on places that promote improper relations between humans and androids and plan to send out undercover androids for the initial investigation. Rikuo asks Masaki to come back to the cafe again but is rejected. Masaki decides to tell his father about the cafe, but comes home to find out that THX has left by itself. He receives a call from Rikuo and finds out that THX is at the cafe, warning them about the Ethics Committee, and Masaki goes to the cafe. The undercover android sent by the Ethics Committee enters the cafe and is recognized by THX. 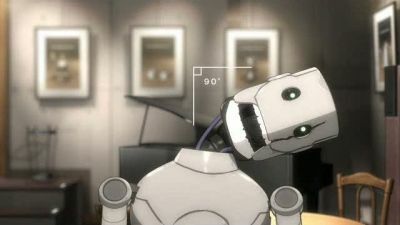 THX, recognizing danger to Masaki, goes against its order to not speak, and confronts the android, causing it to retreat. THX tells Masaki that it always wanted to be by his side, before becoming quiet once again. We see that the investigation of the cafe is put on hold. The episode ends with a new customer (not shown) entering the cafe. Rikuo exclaims to Masaki that Sammy couldn't have acted by herself and that she denies ever going to the Time of Eve café. Masaki asks Rikou to recite the Three Laws of Robotics and concludes that there is no law about lying, they decide to go to the café again to confirm if Sammy was lying. They intend to wait for Sammy to arrive, but instead become preoccupied when Chie steals and hides Rikuo's glasses. Akiko arrives and assures Rikuo that he'll get them back eventually. Masaki later leaves to chase after Setoro while another patron talks to Nagi. Rikuo figures out that androids can lie but Shimei explains that sometime secrets are kept to protect the people most dear to them. Rikuo retrieves his glasses from Nagi and discovers the patron talking to her was Sammy, she runs out of the café and the door locks behind her. Nagi calms Rikuo down and points out that Sammy is just lonely and he should think more about her feelings and consider his options more carefully, the door unlocks and Rikuo decides not to chase after Sammy. Rikuo returns home and thanks Sammy, saying the coffee tastes great. Setoro reports to Dr. Ashimori that Rikuo could not be an Ethics Committee spy. Finding themselves in an unusually empty cafe, an old Android walks in. Upon questioning the android they find out that its name is ****, further questioning leads them to find out that it also doesn't know the address in which it worked, nor the name of the child it was looking after. Confrontation of these issues causes a logical error and the android shuts down. Nagi concludes that it was illegally abandoned to skip on paying the return fee and all personal data was deleted to prevent anyone knowing who abandoned it, and before it shut down it wanted someone to remember its name.